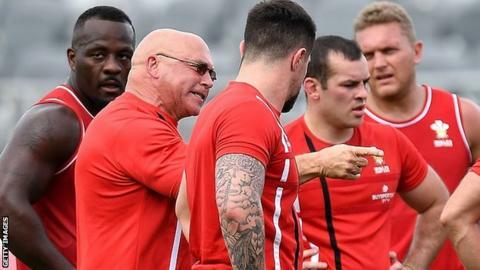 John Kear will continue as Wales Rugby League head coach after taking over at Bradford Bulls. Wales Rugby League confirmed the 63-year-old will stay in the role after moving to the Odsal Stadium from Wakefield. Kear has been in charge of Wales since 2014 and led them to the 2017 World Cup where they failed to win a match. "It was a tough World Cup but I feel like we've made a lot of progress since I took," said Kear. "There is a planned structure to international rugby over the next couple of years and it'll provide us with an opportunity to have a real go. "After a good season with Wakefield, it was a tough end to the year with the World Cup but I feel really energised and fresh for the challenges ahead with both Wales and Bradford."